There is never any bad press. Although my interview on Lou Dobbs Tonight last evening may have only run for 3 plus minutes, the points covered go to the core of my recently released book. 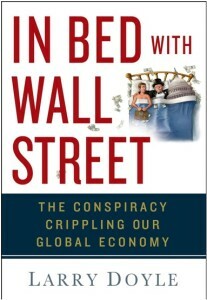 I was about to connect and expose the third leg of the Wall Street-Washington conspiracy, that being the scandalous corruption within our regulatory system, when host Lori Rothman inquired about Dodd-Frank. UPDATE: Who Will Be Next Head of the SEC? Two months ago, I inquired as to who might be our nation’s next chief financial cop, that is, the next head of the Securities and Exchange Commission. Are we about to see a continuation of the Wall Street-Washington revolving door at work for this critically important position? How so? 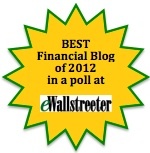 Consumer Financial Protection or Wall Street Beats Main Street? News that a newly proposed Consumer Financial Protection Agency will be housed within the Federal Reserve is another shot across the bow in terms of Wall Street owning Washington and beating Main Street. Tim Geithner, then head of the New York Fed, blinked and screwed the American taxpayer out of billions of dollars in the process. How so? Geithner and his cronies in Washington have misrepresented–if not outright lied–about the payments to both domestic and foreign banks in settling exposures to then failing AIG. While politicians and pundits alike will reference the precarious nature of the time and heat of the moment to defend Geithner and his cronies, the simple fact is the settlement of the AIG swaps at 100 cents on the dollar was nothing short of one of the greatest heists in our country’s history. U.S. Treasury Secretary Timothy Geithner said the Obama administration wouldn’t allow Wall Street to return to such old habits as taking on excessive risk, and that plans to overhaul financial-market regulation were on track. Does Secretary Geithner think that people do not monitor these issues? His statements in this article are the equivalent of a Wall Street bond salesman’s assertion “trust me on this,” while jamming an overpriced security down his client’s throat. My response, “challenge! !” Let’s navigate. Sense on Cents challenge: the system is chock full of toxic assets. The new-issue securitization market for consumer assets remains largely dormant and the TALF and PPIP programs are largely a joke. I submit “PPIP: A Virtual Odd Lot” (July 7, 2009). 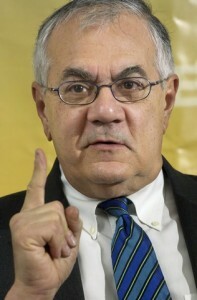 Barney Frank should not be so presumptuous to think that it is just “now” that a large percentage of America is starting to hate him. The displeasure, if not the contempt, for Barney and his minions who have run our country into the ground over the last twenty years is soaring!! Wall Street’s spending on efforts to influence policy making diminished at the start of this year as the image of financial institutions has suffered with lawmakers and the public. Some of the sector’s major advocate groups lost funding and staff. Their spending declined just as the administration was hammering out its proposal for the biggest reorganization of financial-market oversight since the 1930s, details of which the White House released last month. Industry lobbyists met last week to craft a response to the White House’s draft regulatory overhaul, particularly its creation of a consumer-oriented regulator for financial products, which could force major changes in how financial instruments are created and marketed. Whether or not the industry can influence this top administration priority, now that the plan is in the hands of Congress, will be a big test of its remaining clout. Did Barack Obama and team give a sly and subtle wink to Wall Street that ‘the game goes on’ and the ‘fix is still in?’ I believe they did. Many analysts, myself included, view Obama’s proposed regulatory reforms as a combination of ‘reshuffling the deck chairs’ and ‘cosmetic surgery.’ In the process of those maneuvers, the rating agencies – Wall Street’s Great Enabler – went largely untouched. The rating agencies business model presents massive conflicts of interest for all involved. The greatest conflict centers on the fact that the rating agencies’ stream of revenue remains beholden to the Wall Street banks. Without addressing that issue, any dialogue on this topic holds no water. How is it possible in the midst of such a massive financial meltdown that Obama, Geithner, and team could leave this critically important piece of the regulatory puzzle untouched? Actually, it is quite simple. As with any heist, the perpetrators need a ‘bag man,’ who will take a payoff while providing cover to the operation. This scenario with the rating agencies is a prime example of How Wall Street Bought Washington. The Obama plan does make plenty of vague suggestions, similar to those proposed by the rating agencies themselves, to improve oversight of the ratings process and better manage conflicts of interest. The Obama Treasury has even adopted the favorite public relations strategy of the ratings agency lobby: Blame the victim. “Market discipline broke down as investors relied excessively on credit rating agencies,” says this week’s Treasury reform white paper. After regulators spent decades explicitly demanding that banks and mutual funds hold securities rated by the big rating agencies, regulators now have the nerve to blame investors for paying attention to the ratings.